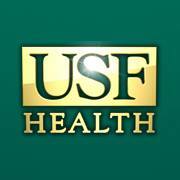 The University of South Florida (USF) Breast Health Program focuses on rapid diagnosis, excellent treatment and the best outcomes possible. As part of the University of South Florida (USF), their clinical team includes the most experienced breast surgeons, breast radiologists, breast pathologists and breast radiation oncologists. Jeff King is a developer who is a part of the USF team and uses Quick PDF Library to help the Breast Health Program manage electronic documentation to ensure that communication flows easily between doctors and patients. He took the time to answer some questions and become a Quick PDF Library Featured Developer. A freelance developer from the United States of America, Carmine is the perfect example of a developer using Quick PDF Library to its full potential. Working within the private and government sectors developing applications that interact with PDF has allowed Carmine to push the limits of Quick PDF Library with primarily database development and administration applications. ProConNet GmbH is a software company from Germany with the focus on ERP, laboratory management and process-automation. ProConNet has long time experience in software for food production. The applications that they develop vary from standard products to custom solutions. Their expertise in industries has given them a competitive edge in the German market where the have experience in software for food, milling, milk, concrete, beer, wine and testing laboratories. Irina Horung took the time out to answer some questions about how they use Quick PDF Library and Debenu PDF Viewer SDK and for that reason they are Quick PDF Library’s June Featured Developer. Jamal Mazrui, an employee in a federal agency in the United States Government and a hobby developer. PDF2TXT is software he creates with Quick PDF Library as the PDF SDK to make the internet a more accessible place for people with visual limitations. The work makes a meaningful and valuable contribution and it was a pleasure to find out a bit more about his work. We are thrilled to present Jamal as the Quick PDF Library Featured Developer. Introspective Systems is an applied science-engineering firm formed in June 2010, developing software for the design industry. Products are developed on a framework of unique intellectual property and design principals in systems architecture, engineering and performance based modeling and simulation. SIMplexity Designs is the architectural software division of Introspective Systems. We were lucky enough to feature Dr. Caryl Johnson, CIO of Introspective Systems and a Quick PDF Library user. Estéban & Co Estéban & Co. is a family-owned printing firm servicing small to large architecture/engineering/construction companies as well as developers and property owners. Quick PDF Library Featured Developer is Daniel Estéban and his team. eCTD Office is a suite of integrated software products for electronic submissions by pharmaceutical companies to regulatory authorities. This months Quick PDF Library Featured Developer is Žarko Gajić from Mono Software who is a lead developer on eCTD Office. Systematic Marketing is a software development company specializing in high end CRM and CMS solutions both for the commercial and non-profit sectors. This month we talk to Russell Weetch from Systematic Marketing about how they use Quick PDF Library.